We have interests in offshore production and exploration licences in the North West Shelf (NWS) and Greater Gorgon areas of the Carnarvon Basin, as well as in the Browse Basin and Timor Sea. Woodside (of which Shell’s 13.3% interest was sold in 2017) is the operator on behalf of the NWS joint venture, which produced more than 450 thousand boe/d of gas and condensates in 2017. We have a 25% interest in the Gorgon LNG project, which involves the development of some of the largest gas discoveries to date in Australia, beginning with the offshore Gorgon and Jansz-lo fields. Gorgon LNG began production in March 2016. The third and final train began operation in March 2017. We are the operator of a permit in the Browse Basin in which two separate gas fields were found: Prelude and Concerto (Shell interest 67.5% in each). Our development concept for these fields is based on our FLNG technology. The Prelude FLNG project is expected to produce about 110 thousand boe/d of gas and NGL, 3.6 mtpa of LNG, 1.3 mtpa of condensate and 0.4 mtpa of LPG. Major milestones during 2017 were the sail away of the facility from the construction yard in South Korea and the start of hook-up and commissioning activities on site. Our other interests in the basin include a joint arrangement, with Shell as the operator, for the undeveloped Crux gas and condensate field (Shell interest 82%). We are also a partner in the Browse joint arrangement (Shell interest 27%) covering the Brecknock, Calliance and Torosa gas fields, and the undeveloped Sunrise gas field in the Timor Sea (Shell interest 26.6%), both of which are operated by Woodside. We are a partner in both Shell-operated and other exploration joint arrangements in multiple basins – including Bonaparte, Browse, Exmouth Plateau, Greater Gorgon and Outer Canning. We have a 50% interest in train one and a 97.5% interest in train two of the Shell-operated QCLNG venture. The two-train liquefaction plant has an installed capacity of 8.5 mtpa. 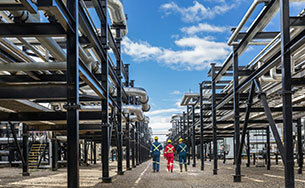 Our production of onshore natural gas from the Surat Basin supplies both this plant and the domestic market. In December 2017, we signed a gas sales agreement between Arrow and QCLNG, under which uncontracted gas from Arrow’s Surat Basin fields would flow to the QCLNG venture, that would then both sell gas to local customers and export it through its gas plant on Curtis Island. During 2017, we sold our 50% interest in the Kapuni gas field. 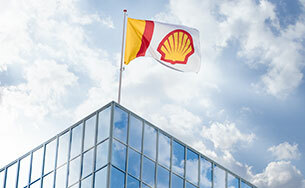 In March 2018, Shell reached an agreement to sell its shares in Shell entities in New Zealand, including our interests in the Maui (83.75%) and Pohokura (48%) natural gas fields. 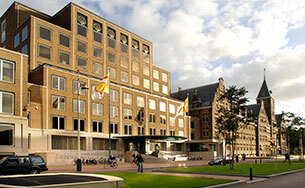 Shell has also entered into an agreement to sell its interest in (and operatorship of) the Great South Basin venture.